The University of Salford Centre for Sports Business, in collaboration with The Digital Cluster (part of CARe) and World Gaming Executives, is hosting a free one-day symposium on the 2nd November 2016 at the University of Salford at MediaCityUK on Esports and the Future of Sport. This event will include talks by leading academics in the field, and those working in the industry including International eGames Group CEO Chester King, British eSports Association’s Dom Sacco, Trevor Keane of the Celtic eSports League and more. 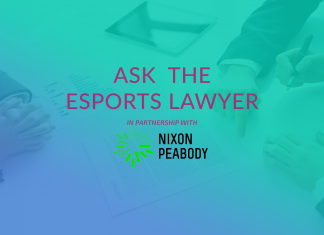 The event will explore the rapidly developing business of esports, and consider its relationship and synergies with the changing nature of more traditional sports. You can book your free ticket here, or get in touch with Professor Crawford at g.crawford@salford.ac.uk for more information. In addition the event is looking for sponsors for the staging area and the post event networking. Any interested parties can get in touch with John Armstrong at john@worldgamingexecutives.com. Esports Insider says: As more traditional sports clubs move into esports in the UK and worldwide this symposium offers an excellent educational and networking opportunity for those working in any of these industries, or those hoping to.